It is difficult to convey, visually or verbally, the utter magic of the Japanese cherry blossom season. Although the blooms signal the arrival of warmth, their appearance can evoke both melancholy and joy. In their brief yet exuberant existence, sakura express spring’s inherent duality: it is both the most longed-for and short-lived season of all, imbued with promise but often tempered by the realization that another year has passed so quickly, and with so little awareness. 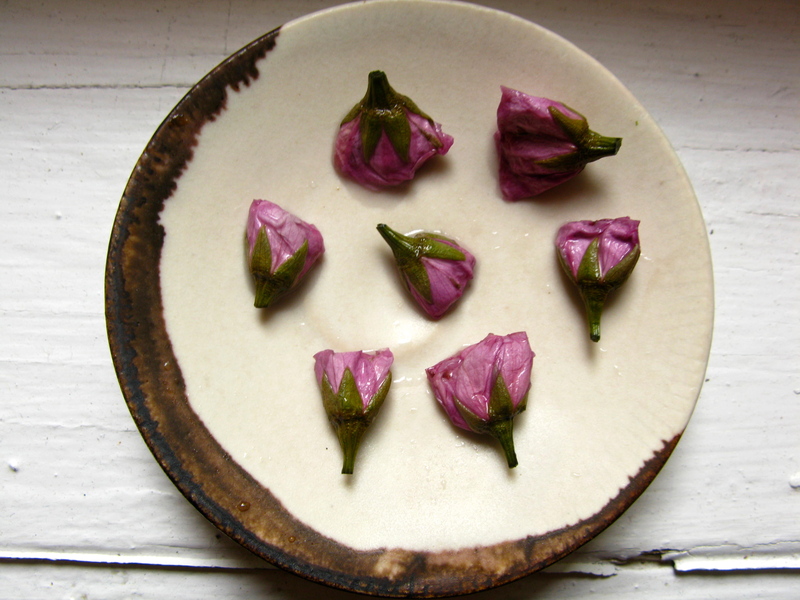 January 7 has come and gone, but I’m still enjoying leftover nanakusa gayu for breakfast. Mixed with some lightly beaten egg, it’s hearty, filling, and perfect fuel for a blustery bike commute on a winter morning. See how the family is gathered around an opening in the floor, with the rice pot suspended from above? This is a representation (albeit a rather abstract one) of a traditional Japanese hearth, or irori. Nice work, Google! Nagano prefecture is known throughout Japan for its buckwheat, which finds its way into much of the region’s cuisine, from the famed Shinshū soba (more on which here, here, and here) to soba manju (sweet red bean paste wrapped in a thin buckwheat skin) and soba cha, a mellow, caffeine-free tea made from buckwheat kernels. The buckwheat harvest, which takes place in the late fall after October’s rice harvest, is hard and laborious work. Preparing the buckwheat for cooking is no easier: after harvesting, the buckwheat grains are threshed and sorted. Traditionally, stone mills are used to grind the grains into flour. Freshly milled buckwheat flour has the most delicate flavor, and so soba made immediately after the fall harvest is held in high regard. It’s true that life in Japan is quite contained, both physically (in offices, trains, and tiny apartments) and psychologically (in a fairly rigid set of customs and hierarchies). 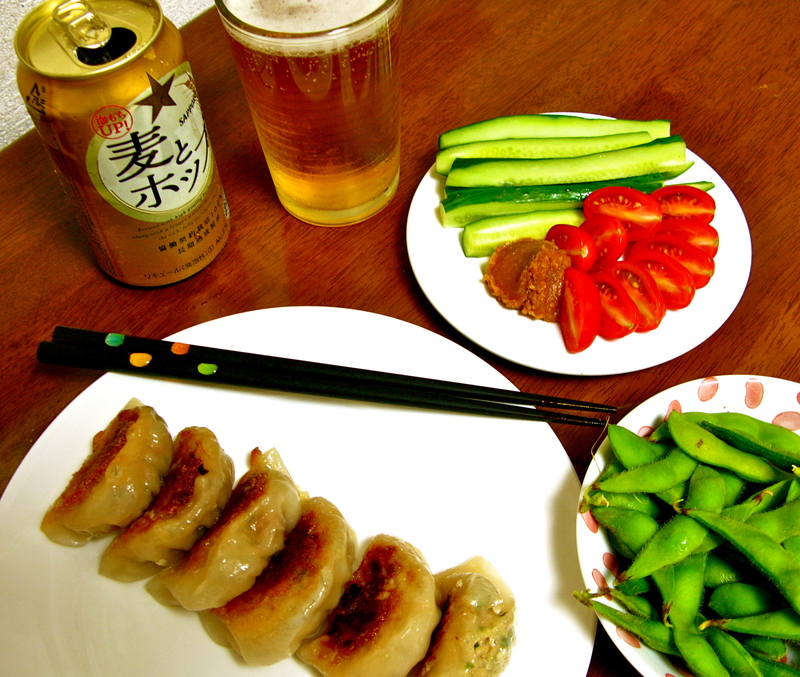 In my experience, most raucousness occurs in the guise of office parties or gatherings at karaoke bars and smoky izakayas. However, this all changes when the weather warms. 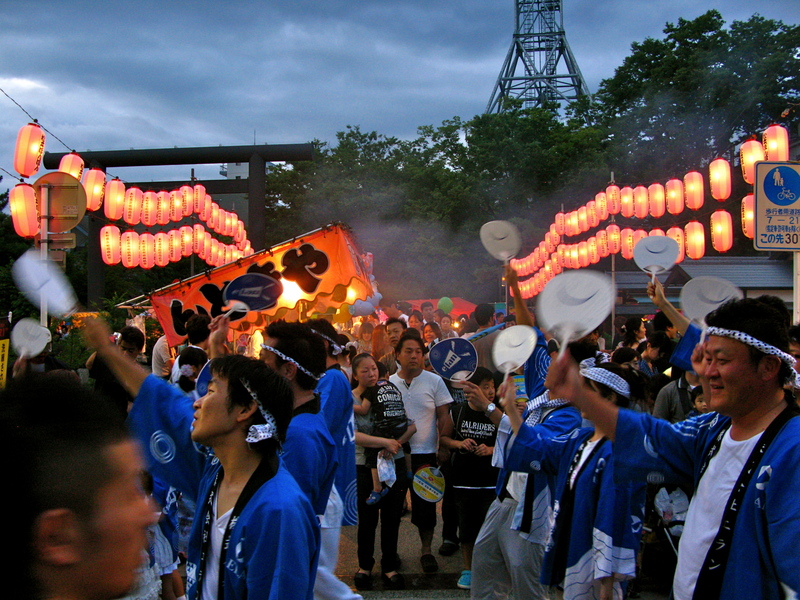 Summer in Japan is the season of matsuri, or festivals. These can take many forms, from elaborate processions of portable shrines to gorgeous fireworks displays and taiko drumming performances. Sometimes, mountainsides are set on fire, as in Kyoto’s famous Gozan no Okuribi, and boats are hauled over long distances by festival participants, as in Suwa’s amazing O-fune (boat) matsuri. 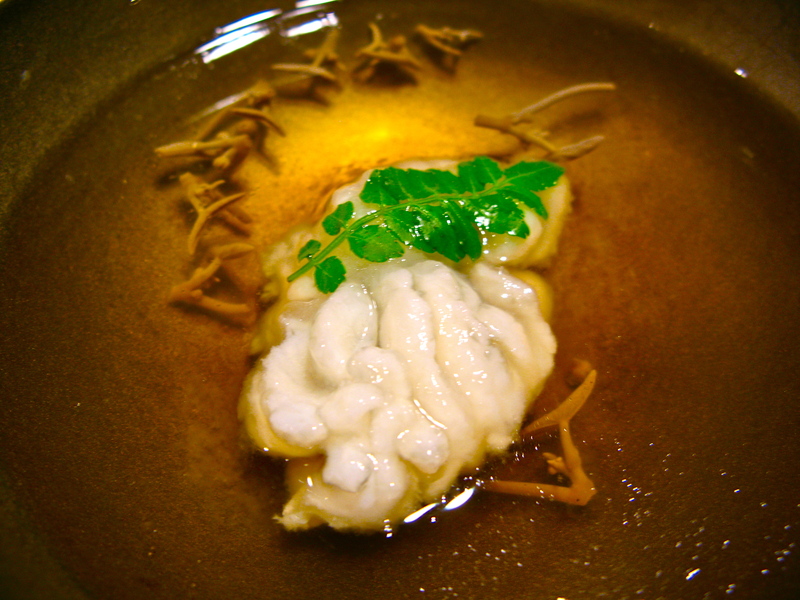 Japanese festivals are lively, ebullient, and often awe-inspiring events. As it happens, they’re also great places to eat. 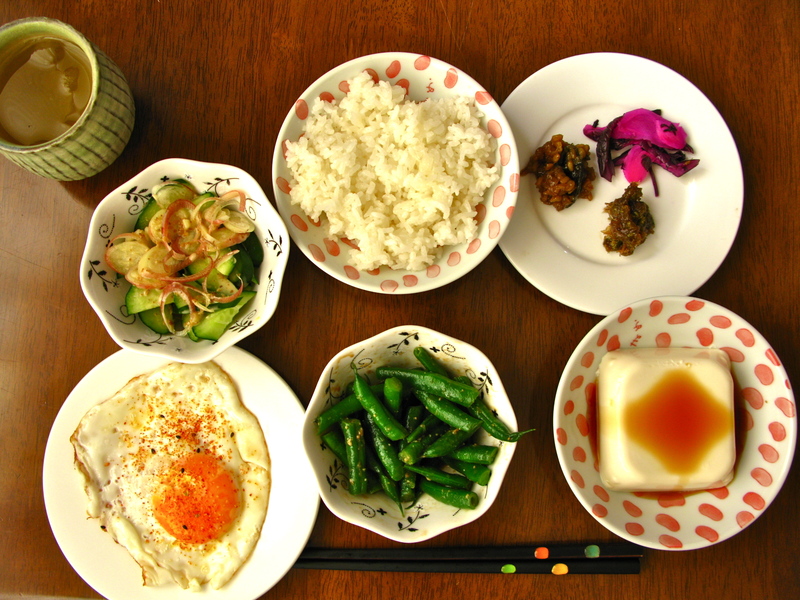 When I first moved to Japan, I initially struggled with what to eat for breakfast. Having visited once before on vacation, I knew of the elaborate multi-plate breakfasts served at ryokan, but I had no clue what the average person fueled herself with every morning. Yet it soon became apparent that this option was simply not satisfying – it was January in the Japanese alps, and I craved something warm, something to soothe the ache of being far from home. Oatmeal was, to the best of my knowledge, unattainable, so I bought the next best thing. Thus began the winter of barley and bananas. Let me spare you the details. It was bleak. Summer in Japan is, to put it bluntly, brutal. This is particularly true where I live, in Saitama prefecture, just outside Tokyo. Thanks to Saitama’s geography – it’s essentially a giant, flat plain – the residual heat and smog of the city get trapped in its valleys and lowlands, with no promise of relief from the cooling ocean breezes that reach Chiba prefecture to the east. This year, with everyone doing their best to conserve electricity after the accident at Fukushima, the need to stay cool is more pressing than ever. In his remarkable essay “In Praise of Shadows” (1933), Jun’ichirō Tanizaki expounds on his appreciation for the imperfections, tarnishes, and subtleties – shadows, broadly writ – that permeate and define everyday life in Japan. In discursive, flowing prose, Tanizaki discusses the patina objects acquire with repeated use, the subtle glow emitted by paper lanterns, the darkening and softening of wood over time, the fluidity and softness afforded by calligraphy brushes and paper. Over the course of these discussions, Tanizaki reveals what appears (at least in the context of the essay) to be a fundamental cultural divide. Where Western culture values illumination, clarity, and logic, Japanese aesthetic sensibilities place a premium on subtlety, haziness and ambiguity – that is, on the border between light and dark, on shadows.